Internet is free with high number of users surfing it locally and globally, It is free of law and people are allow to use and do whatever they want with it, In this case government are looking for ways to prevent Internet fraud, piracy online though its not easy to tackle, restrictions are included to some website in order to control privacy and security, local governments hold the power to order ISPs to block websites that they feel are a threat to the society. This local government policy has really affect some other organization that want to access internet for legal use like schools and colleges, when blocked content is included to website is disallow people from accessing it for important use, here is another methods to access block websites using Google as proxy server. 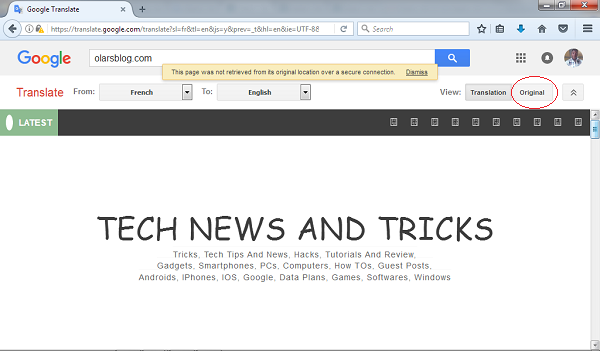 There are two methods to access blocked content by using Google as a proxy server and let us tell you how. Here we have two methods using google as proxy server, and your ISP or public network host will think you are using a Google service, your screen will actually show the original content of the blocked website. Follow the steps below to know how to do it. METHOD ONE:- Using Google Weblight. Google Weblight is a Data saving technique used by chrome web browser. It routes your web page through Google’s own servers where it is optimized for low data and quick loading. This modifies your URL and hence blocking programs can not recognize the content. 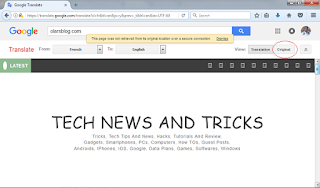 This method to use Google as the proxy server is very quick and effective. Just follow the simple steps given below to use Google as a Proxy server and access blocked content using google Weblight. Replace URL HERE with your URL. This is how you can use Google as a proxy server using Google Weblight service. METHOD TWO:- Using Google Translate. 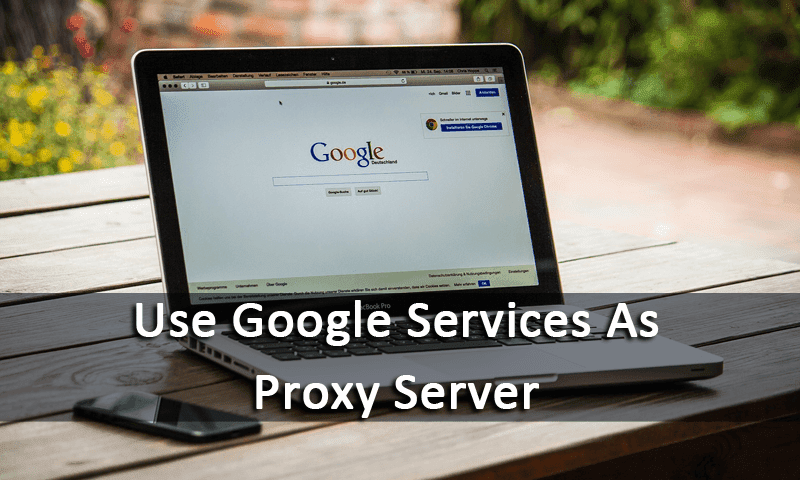 This method involves the use of Google’s website translator service to bypass blocks and access blocked content by using Google as a proxy server. 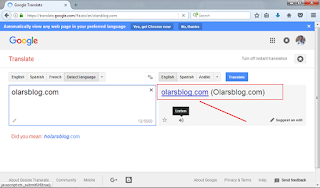 Google has the power to open any website and translate its content to any of the supported language. This can be used to show the entire website on the screen via Google translate. Here’s how to do so. Step 1. Go to https://translate.google.com and in the text box, paste the URL that you want to visit. Step 2. Choose any other language than the default language. Step 3. Click the “Original” button in the top right corner to view the original web page. 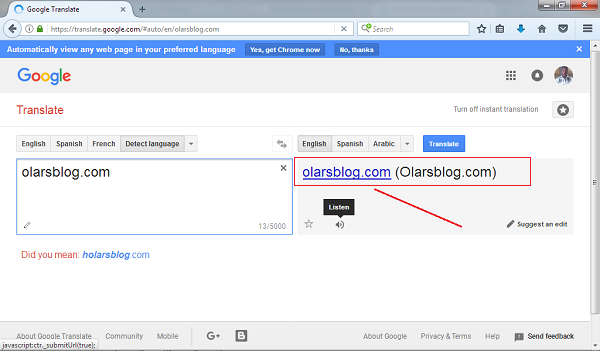 This is how you can use Google as a proxy server using Google Translate service. 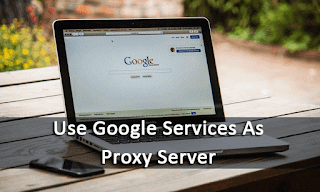 We hope that this simple steps has guide you on How to use Google as proxy server to access blocked content helps you use the internet better. Feel free to share and comment in the box below.